Position Description: Hired by the President, Board and Executive Director the BMO is responsible for overseeing all WLUSP Brantford Operations. The BMO hires and supervises all Brantford Student Publication managers and editors in chief. In addition, the BMO is responsible for completing the budgeting process. The BMO will provide strategic oversight to the Executive Director and assist the Executive Director in management of day-to-day Brantford business operations. The BMO also serves as an ex-officio non-voting member of the WLUSP Board of Directors. Meet regularly with the Board of Directors of Student Publications. Working with the Board of Directors to engage in: strategic and business planning, long term visioning, and decision making at the board level as it relates to WLUSP’s Brantford operations. Manage all directly reporting staff and ensure the effective supervision of all staff and volunteers. Facilitate all human resource activities across Brantford departments, including, but not limited to the hiring and termination of staff and volunteers. Facilitate regular professional development activities for staff and volunteers. Oversee and participate in activities undertaken to recruit and orient new staff and volunteers. Participate in the hiring of relevant staff in the months preceding the term of office and the last months of term of office. Assist the President and Executive Director in preparing the interim and operating budget for Brantford departments. Supervise budgetary compliance and review and bring any desired amendments to the president and Board of Directors in accordance with WLUSP policy and by-laws. Assist the President and Executive Director in the negotiation of contracts relating the matters of Brantford operations. Act as a liaison and mediator between Brantford departments and between WLUSP Brantford and WLUSP Waterloo. Assist members of the Corporation in relations with the university and other outside organizations. Represent the Corporation in relations with the university and other outside organizations. Coordinate public relations activities and represent WLUSP Brantford to the media. Advise the President in response to any matters pertaining to Brantford operations affecting legal status of the corporation, including but not limited to: matters of libel, employment contract disputes, and other legal matters. 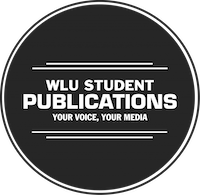 Act within the guidelines, policies and regulations of the WLU Student Publication’s Board of Directors in the best interest of the members of the corporation. Ensure that Student Publications is operating in accordance with its existing by-laws, policies and guidelines. Attend all meetings/ conferences on behalf of WLUSP as required. Submit regular reports to the Board, outline work completed and bringing relevant matters to the attention of the Board. Prepare a year-end transition report for the incoming BMO. Any other reasonable duties as required by the President.